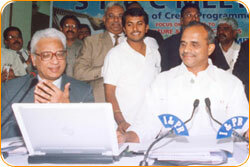 Mr. N Bitra & Bill Bitra, Sri PNV Prasad, Ex.SAAP Chairman With Mr. Kapil Dev. The occasion of Kinetic Boss Vehicle Opening at Bitra's House At Banjara Hills, Road No. 10, On 21st Oct'2002. On the occasion of New Year Greeting Wishes. 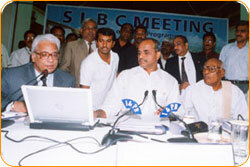 Mr. N Bitra With Sri. PNV Prasad, Ex.SAAP Chairman, The occasion of SAAP Chirman Joining Office. TDP Party Technology Committee Chairman, at TDP Party Office. Mr. N Bitra, Friends & Family, With Mr. Kapil Dev & Sri PNV Prasad, Ex. SAAP Chairman, The occasion of Kinetic Boss Vehicle Opening at Bitra's House At Banjara Hills, Road No. 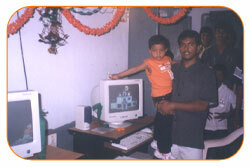 10, On 21st Oct'2002.